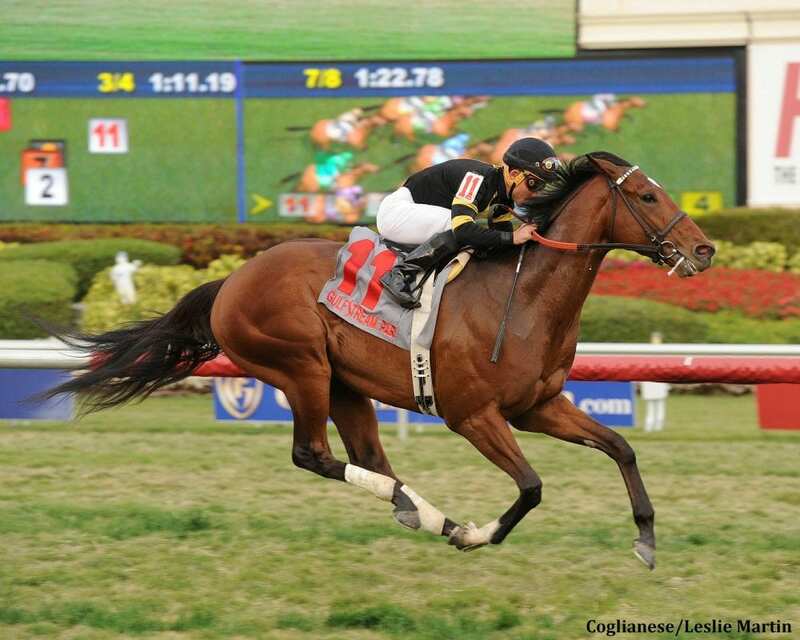 Long On Value – multiple graded stakes winner and millionaire ­– will stand at Pleasant Acres Stallions in Morriston, Fla., for the 2019 breeding season with a $2,500 fee. With 32 starts, Long On Value finished in the top four in 22 races, including 12 graded stakes. Long On Value won eight stakes, including the $300,000 Grade 1 Highlander Stakes at Woodbine (at age seven), the $200,000 G2 Twilight Derby at Santa Anita (at three), and the $150,000 G3 Canadian Turf Stakes at Gulfstream Park (at four). He was second – by a nose – in the $1,000,000 G1 Al Quoz Sprint in Dubai in 2017 (at six), and third in the G1 Ricoh Woodbine Mile Sstakes and G1 Maker's 46 Mile Stakes at Keeneland. Campaigning at 15 tracks in four countries (U.S., Canada, England, Dubai), Long On Value won on dirt and turf, while going short and long, and earning more than $1.13 million. In a racing career that spanned six seasons under four trainers, including Bill Mott and finally Brad Cox, Long On Value tallied seven triple-digit Beyer Speed Figures and was 60-percent in the money. Long On Value began his career undefeated at two, where he won $35,000 in his maiden special weight debut going 4 ½ furlongs at Delaware Park, $50,000 in his second race in the Jamestown Stakes going 5 ½ furlongs, and $50,000 in his third race – by six lengths – in the Strike Your Colors Stakes at Delaware Park. Long On Value finished his career undefeated in his 7-year-old campaign, where he won the $300,000 G1 Highlander Stakes at Woodbine – going six furlongs on the turf and earning a 102 Beyer. Long On Value was originally purchased as a yearling at the Fasig-Tipton Midlantic Sale at Timonium, by Patrick Morell as agent for Richard Hessee. Part-way through his juvenile season, he was purchased by George Kerr and Wachtel Stables, for whom he ran through his 6-year-old season (with partners). He was sold at the Keeneland November Breeding Stock Sale in 2017 and went to the barn of Brad Cox where he finished his racing career. After Long On Value's retirement from the track, Morell brokered the deal for George Kerr to buy back Long On Value as a stallion prospect. The son of Value Plus (by Unbridled's Song) out of Long Message (by Orientate), will stand at Pleasant Acres Stallions for an advertised fee of $2,500 live foal. Long On Value will join stallions Amira's Prince, As De Trebol, Beau Choix, Bucchero, Handsome Mike, Learn, Neolithic, Ride On Curlin, and Treasure Beach at the 220-acre farm located just northwest of Ocala. This entry was posted in Bloodstock, NL List and tagged 2019 stud fees, bill mott, brad cox, george kerr, joe barbazon, Long on Value, Patrick Morell, Pleasant Acres Stallions, Richard Hessee, Stallion Retirements, Wachtel Stables by Edited Press Release. Bookmark the permalink.